I saw the above picture on Earth Day. I added the caption, but after I did, I realized that while it is a nice sentiment, it is in error. 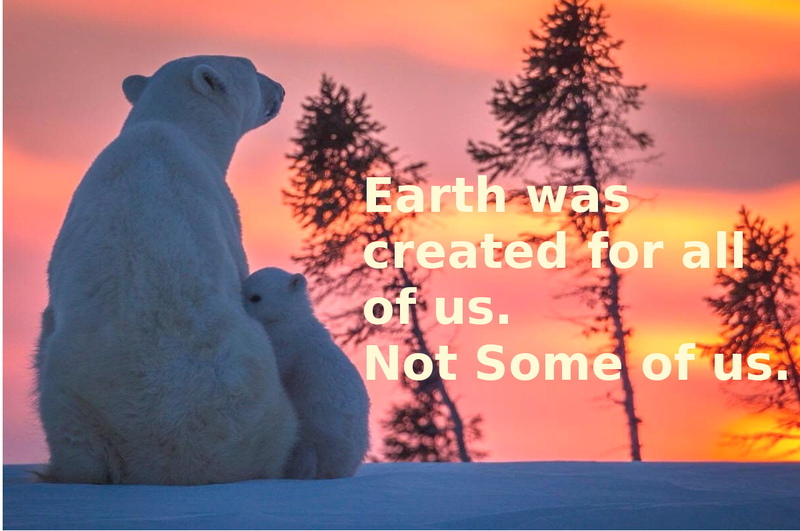 Earth was not created for anyone. Earth is a magnificent biological system. Humankind is blessed to be a small part of it. Knowing this, I wonder why all the kerfuffle about introduced plants? Why do we call them invasive? They are, after all, plants that humans introduced through colonization. Plants are no less a part of Earth's system than people are. Throughout history, people have introduced themselves to every corner of the Earth. If that is not a normal part of evolution, the whole North American Continent needs a cleansing. Evidence shows that Native Americans migrated from Asia to this continent. People are not indigenous to North America. Judging by the changes we have made in the environment, people are an invasive species. Neither cattle nor horses are indigenous to North America. Animals introduced by European settlers have spread many species of the plants we call "weeds." Wild animal species regularly migrate from one area to another. Migratory birds and other animals spread various plant species. We call that "natural". Isn't it natural for humans to do the same? We humans continue to exploit the earth, taking far more than we need from it. Why do we continue to develop new areas for human habitation while so many dwellings are empty? What arrogance gives us the right to kill the white rhino for a horn made of alpha-keratin, the same substance as our own fingernails? I am not a believer that we should protect animals only because of their imminent extinction. Our motives for that kind of protection are selfish. Life forms come and go and that is a part of the natural order of things. Still, each life form on Earth deserves equal respect, whatever form its life takes. No life form deserves to have its tenure on Earth shortened by intentional human destruction.